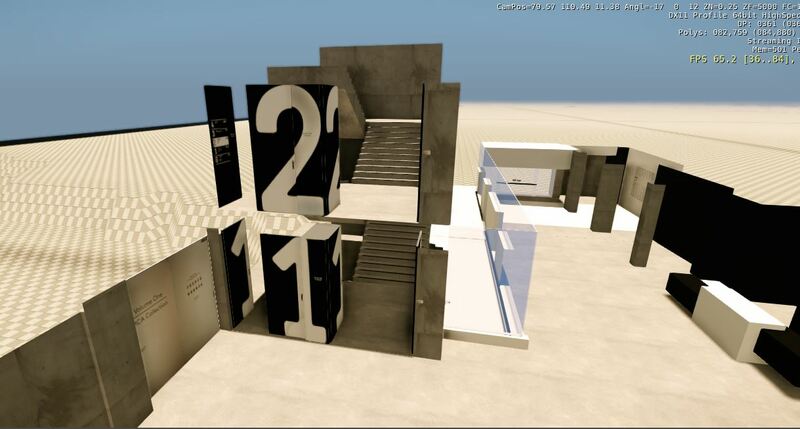 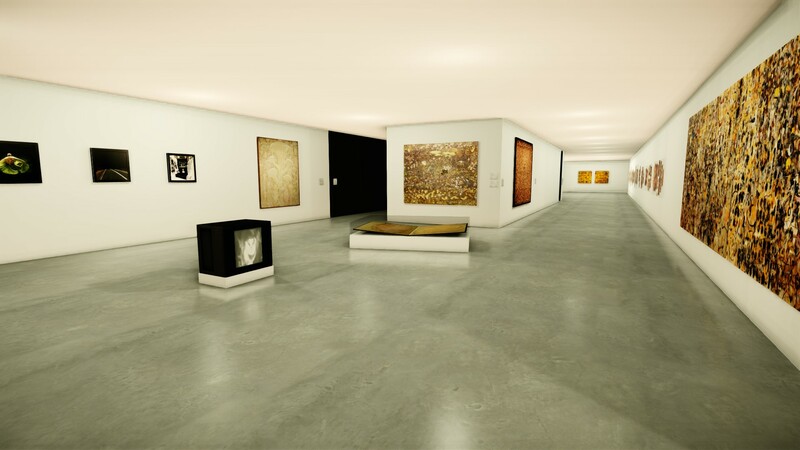 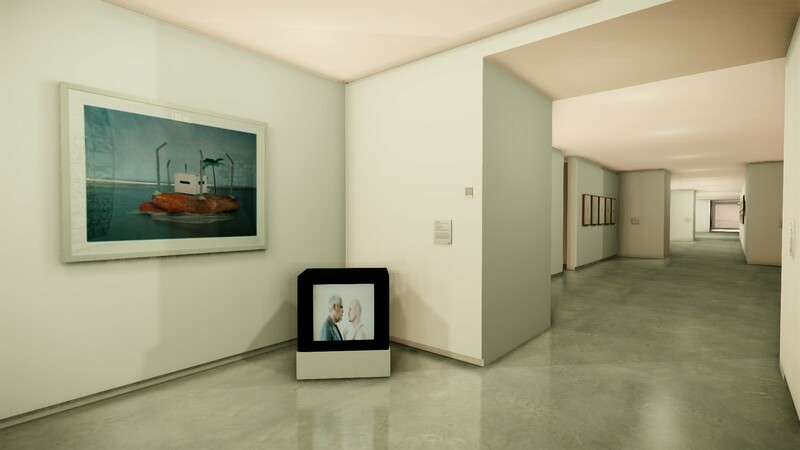 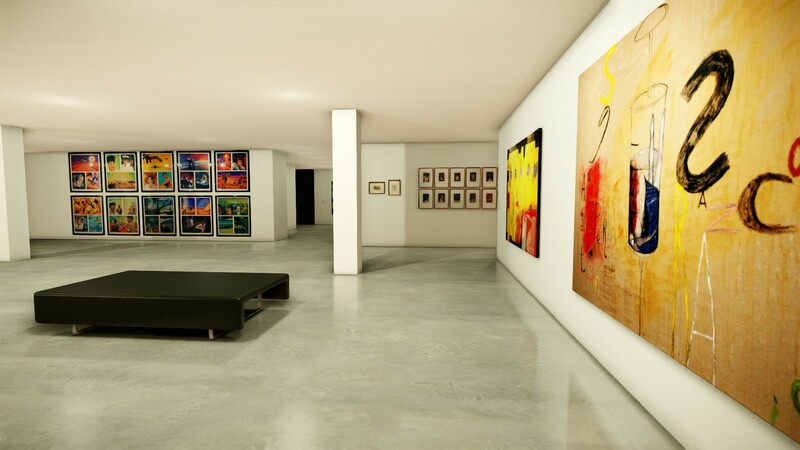 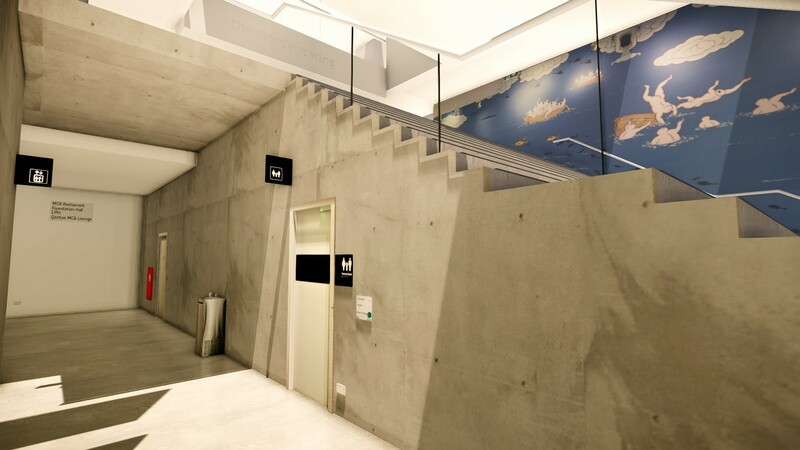 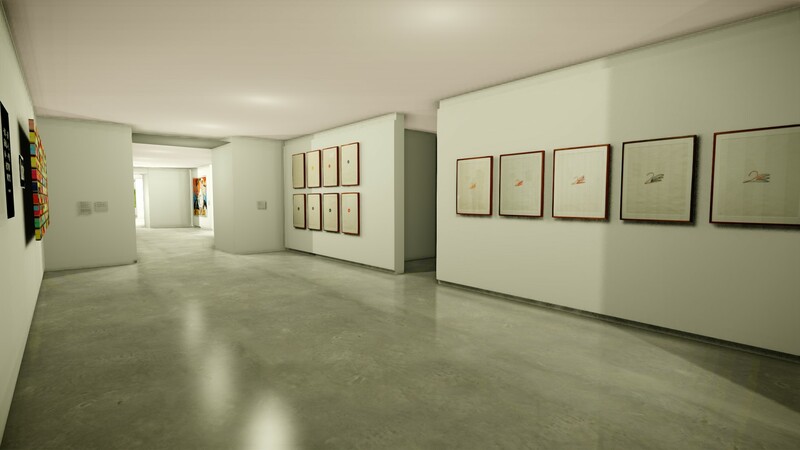 GAMESPACES: Museum of Contemporary Art is a photo‐realistic recreation of Sydney’s Museum of Contemporary Art as a playable video game, complete with galleries filled with paintings, sculptures, and video works. 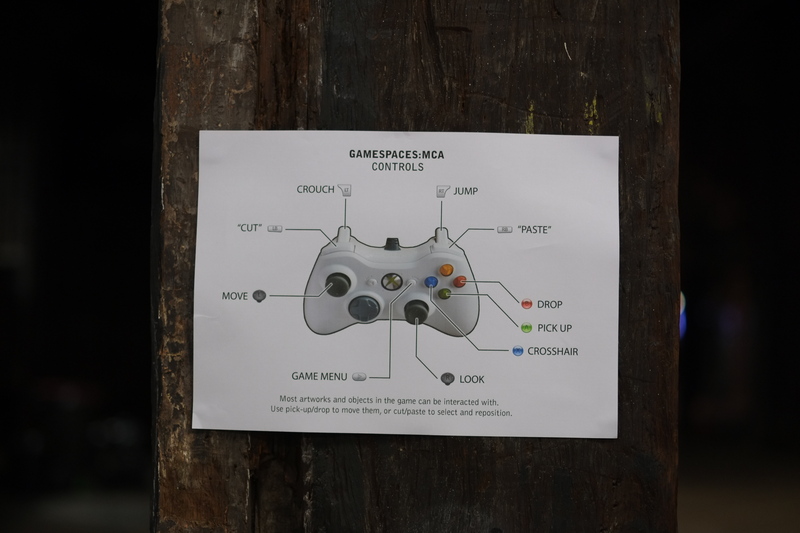 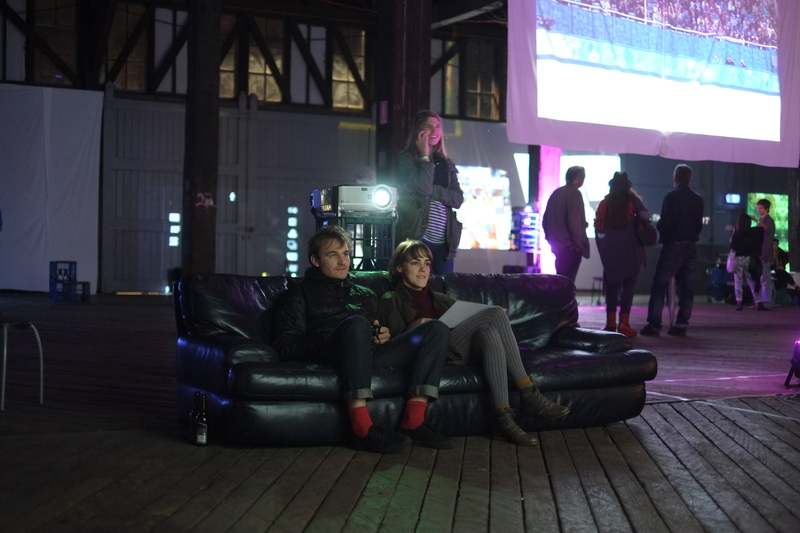 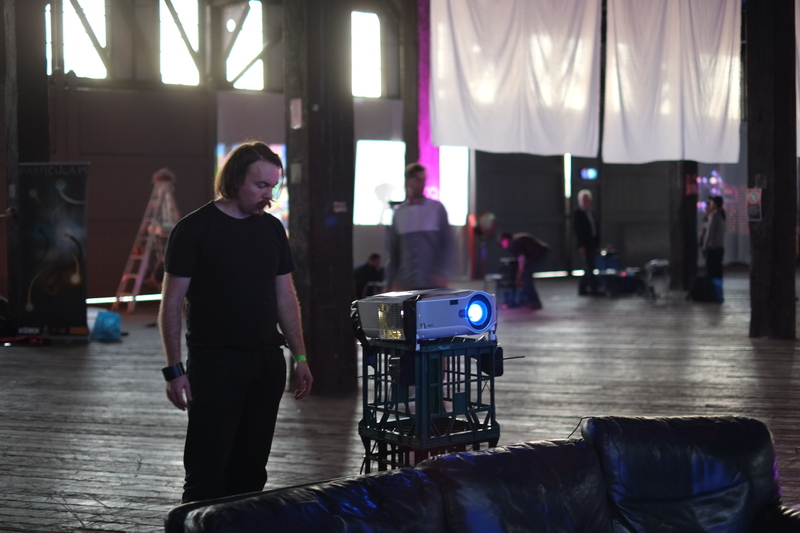 The work was commissioned by guest curator Tully Arnot for the MCA’s 13th Artbar event entitled “Unreal!”, and was installed as a recreation of a gamer’s livingroom (complete with Dorritos) at the entrance to the museum. 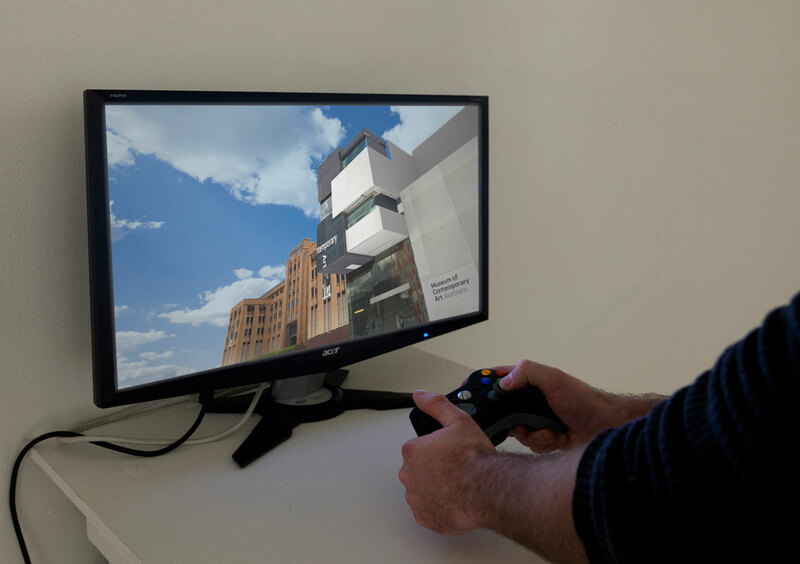 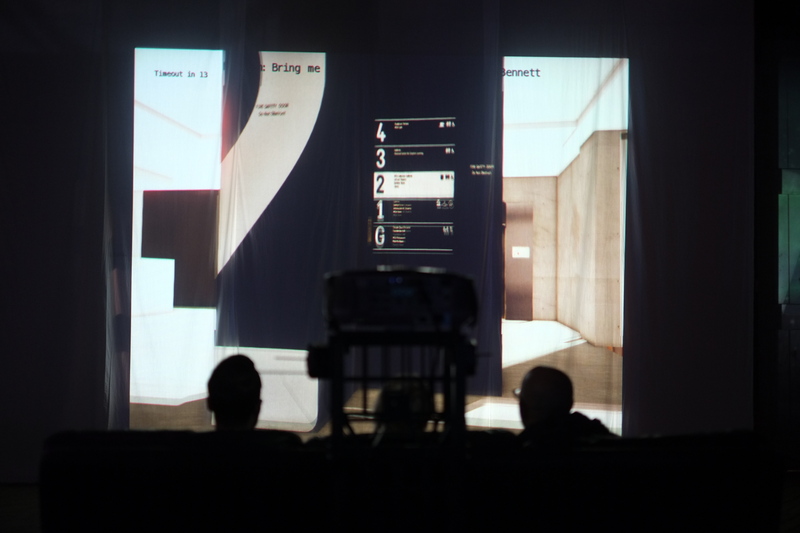 It explores everyday experiences of space in an age of mediating technology, framing the virtual gamespace against the physical building it indexes and is installed within. 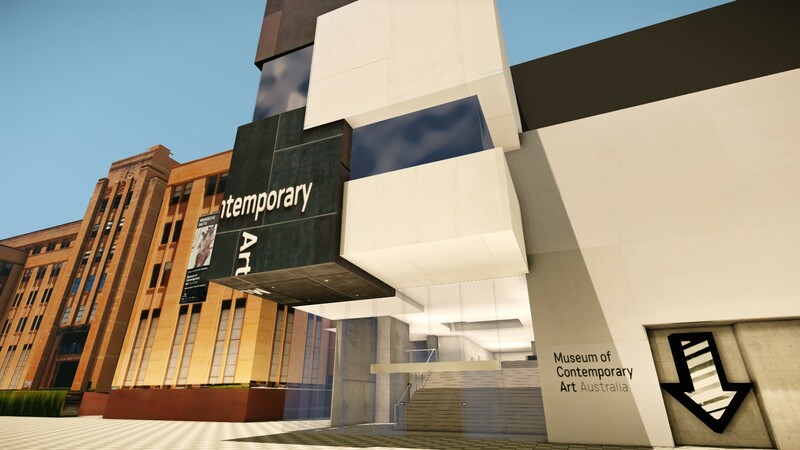 This project has benefited from funding courtesy of Arc@UNSW Limited.